What is the construction of this boots? Follow us and like this picture. 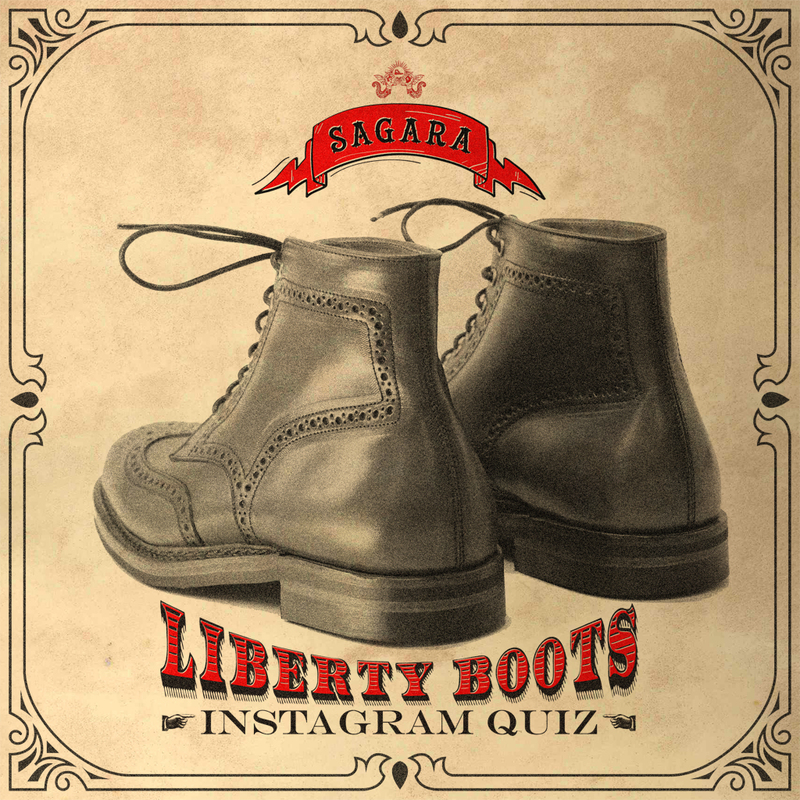 You can get the clue for the answer based on the picture above and our Liberty Boots video teaser yesterday. The competition will be hosted on the SAGARAINDONESIA Instagram page from 17-18th March 2015. Don’t forget to follow us and like our instagram eFlyer picture. Maximum entry per account only can submit 2 combination of answer (with separated post, one eFlyer design per answer, one post per day). We will announce the winner on our instagram account at 19th March 2015. Any answers submitted on Facebook, Twitter, Path, or in our instagram comment box will not count. One answer, one eFlyer ; we will update the another eFlyer on 18th March 2015. In case of a tie, a winner will be chosen in a random draw.